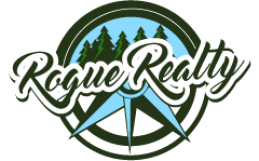 We start with a free, no obligation comparative market analysis of your home to pinpoint the best sales price with the fewest days on the market. We will point out, if any, improvements that can be made to your home to maximize your sales price and appeal to your target market. We will help you stage your home to be ready for sale. We take photography seriously, great photos put the spotlight on your home. We will maximize exposure through social media and real estate search sites in addition to a full local MLS® listing. We will be honest, transparent, informative, and trustworthy from start to finish. Your home will be just as important to us as it is to you. If you're ready to get the ball rolling, fill out our form and you'll get an accurate market analysis right in your inbox. If you have any questions, we're only a call, text, or email away. Need to sell your house, but can't afford to make necessary repairs? No worries here. If it's something simple, we can have it taken care of, sometimes at no charge. If it's more costly or complex, we may be able to pay for the repairs up front and debit the costs at closing. Every case is different, feel free to contact us for an assessment of your situation.